This Aberlour 15 Years Old Select Cask Reserve single malt has been matured in hand selected traditional oak casks. 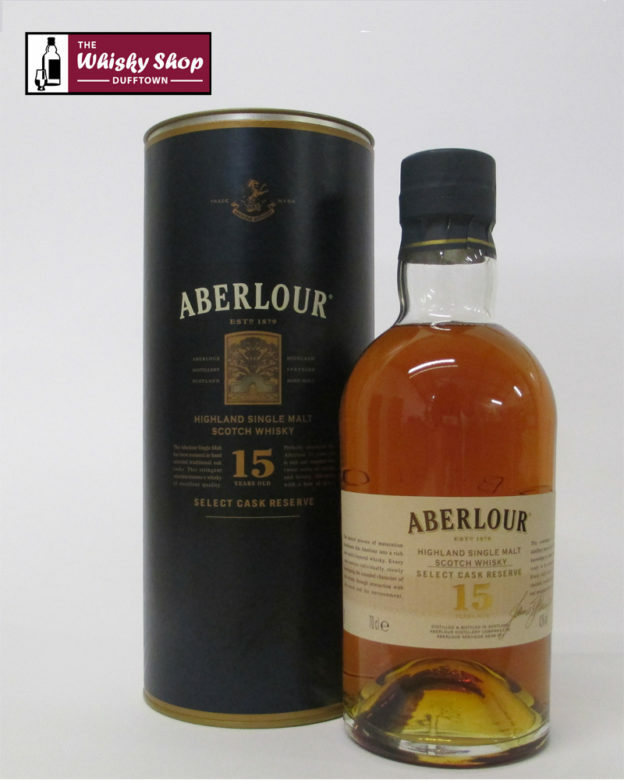 This Aberlour 15 Years Old Select Cask Reserve single malt has been matured in hand selected traditional oak casks. 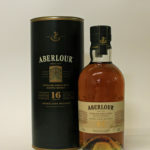 This stringent selection ensures a whisky of excellent quality. What The WSD thinks: Salt encrusted fresh laundry & flapjacks on the nose. Almost lavender with coconut husks. Becomes concentrated tropical juice on the palate with wood shavings in the background. Distillery: Rich malt with aromas of toffee and honey. The WSD: Chocolate and raisins coated with icing sugar then fruity toffee. Becomes floral: honeysuckle and candy. 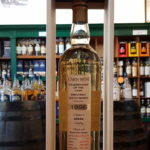 Distillery: Mouth-coating and rounded with vanilla notes. The WSD: Raisin syrup comes through first, dark treacle and spiced oranges with star fruit. Waxy mouth feel. Distillery: Long and intense with a hint of coconut and warming spice.